Paul Stanley,above in makeup, is a hard rock guitarist and singer/songwriter best known for being the rhythm guitarist and primary lead vocalist of the rock band KISS. He is the writer or co-writer of many of the band’s highest-charting hits. Through a mutual friend of Gene Simmons’, Stanley joined Simmons’ band Wicked Lester in the early 1970s. Wicked Lester soon fell apart and Stanley and Simmons placed ads for a drummer and a guitarist in various New York papers.This resulted in Peter Criss and Ace Frehley joining the group, and they named themselves KISS.The group released their self-titled debut album in February 1974. Arthur Stanton Eric "Arte" Johnson is a comic actor who was a regular on Rowan & Martin’s Laugh-In which ran from January 22, 1968 to May 14, 1973 on NBC-TV. His best-remembered "character" was that of a German soldier with the catchphrase: "Very interesting, but… ["stupid", "not very funny", and other variations]. George Burns ( Nathan Birnbaum), was a comedian, actor, and writer whose career spanned vaudeville, film, radio, and television along with his wife, Gracie Allen. George continued working until shortly before his death, in 1996 at the age of 100. George Burns and Gracie Allen were the "first couple" of American comedy. From their early days in Vaudeville to the immensely popular "Burns & Allen" TV show, they continued working together until Gracie’s untimely death in 1964.The two had been married since 1926. 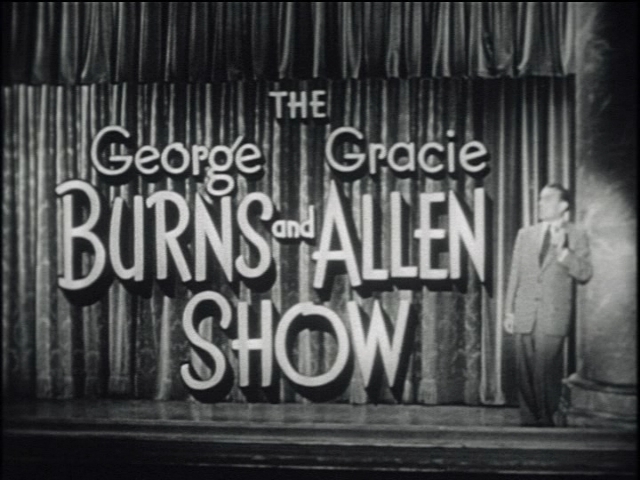 The Burns and Allen Show was on CBS-TV from 1950 through 1958.